Yesterday's winner of Tace Baker's Bluffing is Murder: FChurch! Email mailing address to edithmaxwellauthor "at" gmail "dot com"
HALLIE EPHRON: Maybe you've been to Mexico. We have, many times, as tourists. 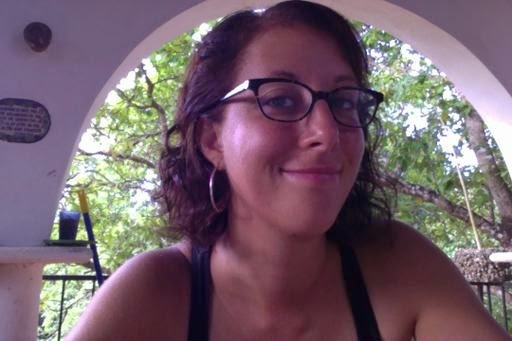 My daughter Molly quit her job in August and moved to Felipe Carrillo Puerto in the Yucatan where she's: "1) learning what what it means to trade Brooklyn for the Maya jungle 2) helping out at a nonprofit language school 3) learning spanish in order to eat, and 4) blogging about it on MuchasDonas. She's learning what it's like to live there. Ever since we dragged Molly to Puerto Rico at 9 months old, she's been an avid traveler, brave bold and up for new experiences. She's also turned into a wonderful writer. She writes about Mexico: "not as a look-at-me-I-live-here-I-know-everything-about-Mexico kind of way. Ok, it will be a tiny bit like that but let’s say it’s more like after-three-months-I’ve-got-a-new-perspective-and-feel-like-sharing." 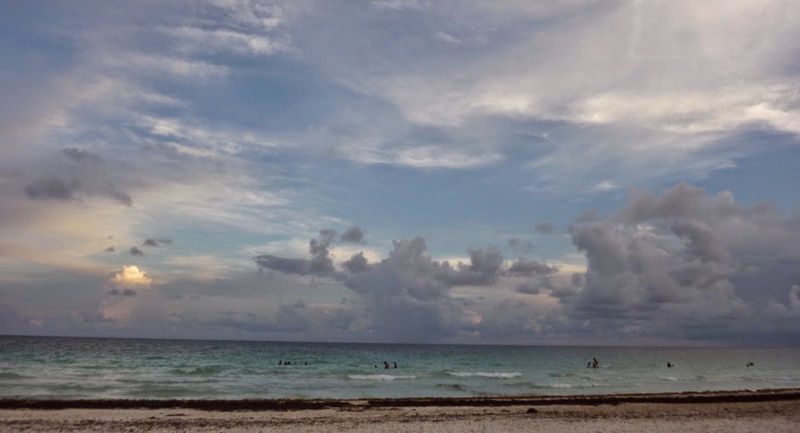 Tulum has three main tourist areas. There’s the original-original Tulum, the grand-colorful ancient Maya city, now ruins but still spectacular though overrun by German tourists. There’s the beach, which has both the public section near the ruins and the Zona Hotelera, flanked by shoulder-to-shoulder “eco-chic” hotels. And there’s the commercial center, basically a strip along a small highway where both sides are lined with restaurants full of tourists and shops selling beautiful embroidered blouses, painted porcelain, and embossed leather bags. There’s a bus station is in the middle of the commercial center, and this is where I usually arrive. 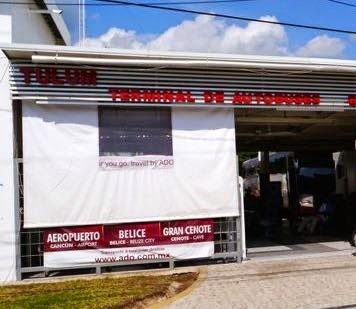 The thing I notice most when I get off the bus from Carillo is that the Mexico I’ve grown used to—where Mexicans live, work, go to church, buy groceries—seems to have disappeared. I am suddenly among small herds of Americans and Europeans wearing yoga outfits, beach coverups, or earthtone hippy gear, everyone gliding in a sun-kissed haze between the mojito bar and the falafel shop. It’s like landing on yoga Mars. There are Mexicans walking among the tourists, but the majority seem to be working in the shops and restaurants. I notice that many of the tourists don’t attempt Spanish and the shopkeepers don’t expect them to. If you want, you can buy everything in dollars. But the really crazy thing to me is that if I walk along the main drag and then wander off onto a side street, it’s zip back to Mexico. Turn a corner and the tourists are gone. It’s like falling out the back of a movie set. Most of what I’ve seen in the back streets—especially on the away-from-the-beach side of the highway–looks a lot like my town. There are women selling squash and spices in the shade of doorways. There are bicycle garages, tortillerias, mini-supers, and popsicle shops. Laundry hangs in the front yards or on the rooftops and in the middle of the day there is the normal mid-day hush when everything closes. As I wander, I think about that the fact that even 30 years ago, the main street would have looked like the back streets. It was only in the 1970s that the Mexican government started putting money into developing the Riviera Maya, exploding Cancun from a 100-person Maya village to its current Spring Break self. Once Cancun blew up, the party headed south, transforming Playa del Carmen to Coco Bongo land and then eventually made its way to Tulum. The public beach. It’s amazing and is actually what’s in the picture at the top of this post. On the public beach you get tourists but also lots of jolly Mexican families enjoying the day. If you enter next to the Mezzanine (one of the restaurants mentioned in the article, which does have a good happy hour), go left another two minutes, and you can sit outside and enjoy fresh fried fish, ceviche and a beer with your toes in the sand. I cannot strongly enough suggest that you try the big red taco joint that’s in the middle of the main strip. 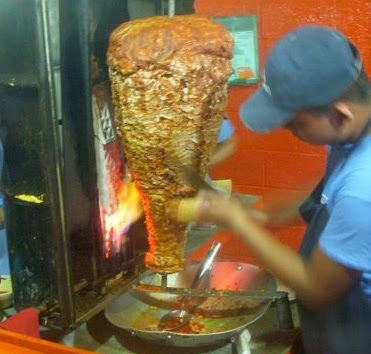 Get the tacos al pastor—the roast pork carved off of a gyro-like wheel. Eat this with habanero salsa and pineapple. Be prepared to cry from happiness. Buy something from a guy on a tricycle. This could be fruit (I recently saw a guy selling mame, which looks like an almond shape coconut with papaya-colored flesh), horchata, or a popsicle. If you speak any Spanish at all, get in a conversation with a Mexican because he or she is likely to be lovely. No matter how obnoxious tourists can be, Mexicans tend to remain incredibly nice in a way that baffles me, being someone that passive-aggressively kicks people’s heels when I walk through Times Square. I think the most important reason to do these things is that because with all of the international imports in Tulum, you risk missing that you’re actually in Mexico. Really. If you watch the video in The New York Times, play Count the Mexicans. You will notice that the majority of the people shown aren’t. One more thing. If you’re going to stay in one of the eco-chic resorts, if you can, choose one that’s actually ecologically friendly with solar power and compost toilets. A little secret: the others run on gas generators. HALLIE: Please, share your travel adventures? Have you managed to get past touristed areas and happily "fallen out the back of a movie set?" And you can follow Molly's Blog MuchasDonas -- this Friday she'll be posting her next adventure. What a wonderful adventure, Molly. When I was younger I had similar experiences, traveling the back roads of Japan alone and striking up conversations in Japanese with people who didn't want to practice their English and weren't part of the Tokyo glitz. I also spent two years in Mali and Burkina Faso in West Africa, where, for better or worse, you find the real Africa everywhere, and people who have almost nothing want to offer you a meal and hospitality with huge warmth. But I wish I was on your beach with one of those tacos right now! I'm putting your blog on my regular reading list. Hallie, my very first published short (flash) story is set in Japan, and is at the bottom of the Short Fiction tab on my web site. Molly, this is a terrific piece. Good for you for following your dream and for sharing a piece of it. We live in an area in the NC mountains that relies heavily on tourist trade with our ski slopes and natural mountain beauty. However, developers are determined to put ugly box condos on flattened mountaintops and if it continues no one will know they're actually in the mountains. We have to join hearts and hands to do whatever we can to preserve regional cultures or it's going to be a plain vanilla world, and that breaks my heart. Kaye Barley, you've said a mouthful. And it really is about values. Money seems to trump all these days. Lovely pictures. When I was in Puerto Rico, I worked in San Juan and of course I saw Old San Juan, which was so pretty (and Fort San Cristobal, and the original place they watched for ships, which was originally called "Puerto Rico"). I was fortunate, however, to make friends with one of the local hires. So while he took me to the El Yunque rainforest and a couple of the touristy beaches on the Caribbean side of the island, he also took me into the hinterlands where almost no one spoke English, but the views/mountains/beaches were just as lovely (but thank goodness he was there, because my high-school Spanish was completely inadequate!). Mary Sutton - how lovely! And it's those experiences that stay with you. SO great, Molly! It makes such a difference to know the language--imagine that! :-) --and you are having quite the adventure. Edith, your travels sound wonderful. It is amazing what you find in a place that at first doesn't seem to have much -- warmth, hospitality, food, that's everything. Kaye, your'e absolutely right. It's stunning, heartbreaking and infuriating how fast regional cultures can disappear. I would love to visit your part of the world. Mary I would also love to visit Puerto Rico. As my mom points out I did go when I was nine months old but I imagine my experience would be different now ;) And another place to practice Spanish! Hank and Kaye thank you, I'm also enjoying the writing part of this adventure! Molly, you are living my dream, of moving, even temporarily, to a place foreign to me, and absorbing the culture and flavor of it. My 30-year old (single) daughter just left two weeks ago for a similar adventure. She started in Turkey, where she will climb for a month, then wend her way to Barcelona. She intends to live there for three months, honing her Spanish skills, learning about Spain and the culture, drinking and dining locally, and also climbing. In between, and before she finally comes home in August, her plans include visits to Croatia, Rumania, Italy and possibly some spots in the UK. I'm hoping to join her for part of her odyssey, we just have not settled on where or when yet. But before I meet her I'm planning to do a little solo traveling of my own, something I've never done outside the US. It's a little scary, to tell you the truth. Go Karen! I confess I've never been a particularly brave traveler, and I am less so as I get older. I admire anyone who is. Let us know how it goes! Molly, if you go to Puerto Rico, my mid-twenties son works on a permaculture educational farm in the mountains near the west coast - I can facilitate an introduction! I spent a lot of time in Mexico growing up, visiting Mexico City for the first time when I was just nine. I lived in Mexico City the summer I was eighteen, and for many years my parents owned a house outside Guadalajara which we visited often. I hate the thought of "real" Mexico disappearing. Molly, your commitment to ensconcing yourself into the culture of the Mexico where you're living is to be greatly admired. And, although you clearly consider most tourists as missing the essence of Mexico and its people, you at no time sound condescending toward them either. Your lead by example, not harsh criticism. That says a lot about your character. To me, one of the best parts about your post and your blog is showcasing the beauty and grace of Mexico and its people at a time when most of the news we see is about drugs and danger in that country. You serve as a much needed advocate for what is good there. I so enjoyed your piece and will be dropping in on your blog to read about a Mexico that the news overlooks. Thank you Kathy! That means a lot to me, that was definitely my point. I don't think all tourists are evil, nor do I want them to stop coming here, I just want them to look around because it's lovely here. Please drop by any time. Molly, I plan to follow you on your blog! I admire your courage to do something so out of your comfort zone. A long, long time ago I went to Mexico. It was a tour but we were on our own for a good part of the time. I enjoyed just walking up and down the streets. Part of the time was spent in Mexico City, a city I would LOVE to revisit. We spent a (very) little time in a couple of other parts of the country. My Berlitz language school Spanish helped a little, along with Adult Ed Spanish, but I had never gotten to the point where I could form sentences; I could get the gist of the conversation, though. I don't know if I could still do that. I don't have a "bucket list" but if I did, becoming fluent in Spanish would be on it! I love the sound of the language. Several years ago, here at home, I went to a Mexican restaurant with a few friends. It was near closing time. I ordered a cup of hot tea, but the mostly Spanish-speaking waiter did not understand. I asked one of my friends, whose first language is Spanish, if he could help me out. He said "SHE. WANTS. HOT. TEA." Obviously, the waiter still did not understand, and my friend turned to me and said "I'm not sure, but I think they don't want to brew another pot of hot water. I asked for hot chocolate (on the menu) but he said I can't have it." A few weeks later I asked him why he didn't speak to the waiter in Spanish, and he shrugged and said "I didn't think of it." Thanks Deb! Learning Spanish is something I've long wanted to do, noting as you did that it can open the lines of communication both at home and abroad. I had a very long comment reminiscing about Tulum and Cancun in the late 80s/early 90s that disappeared with a "Null Error" message. Grrr!